The Sockers FC will gear up for their opponent for a July 11th playoff match here at Grande Communications Stadium at 7:30pm. As the #2 seed the Sockers receive a bye this weekend, and will face the highest seed remaining amongst the 3-5 seeds. 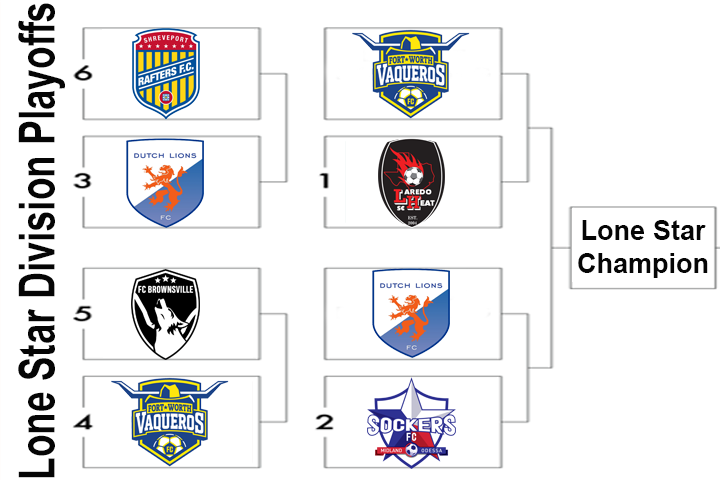 The Sockers FC will play either the Dutch Lions FC of Houston, the Ft. Worth Vaqueros or FC Brownsville.